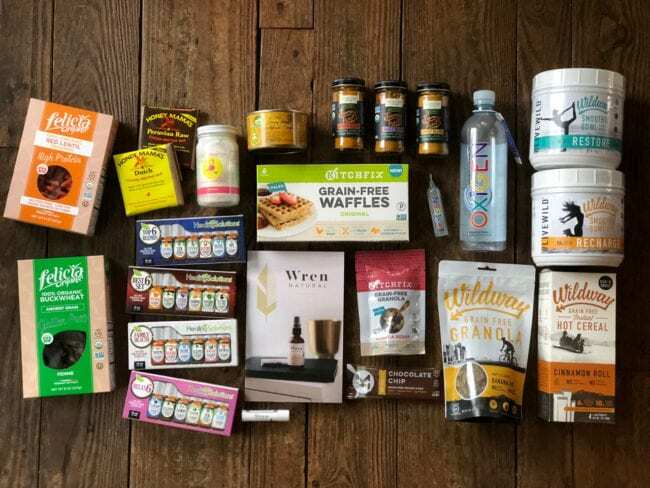 Natural Products Expo West is like Christmas morning to us! We truly think it is the best time of the year. It is the largest natural, organic, and healthy products event that takes over the Anaheim Convention Center. Over 3,500 exhibiting companies attended this year! It can be extremely overwhelming, but also a lot of fun. Pegs has been attending the Natural Products Expo West, aka. Expo West, for the past 23 years. She first started going in 1995 when she started Evy’s Garden, her marinara sauce company that sold nation-wide. 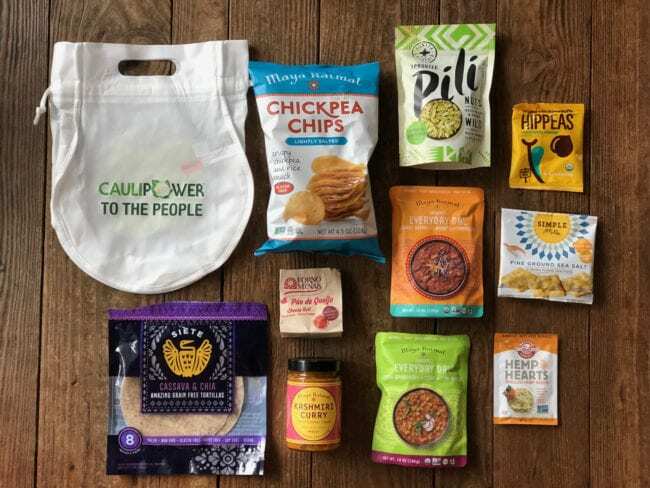 Since co-founding Curry Girls Kitchen, we like to take this opportunity to say hi to our favorite brands and companies. As well as, find amazing new products. This year we had a mission! Our mission was to find delicious new products to share with all of you! We spotted many food trends at Expo West, and even had time to say hi to our foodie friends. 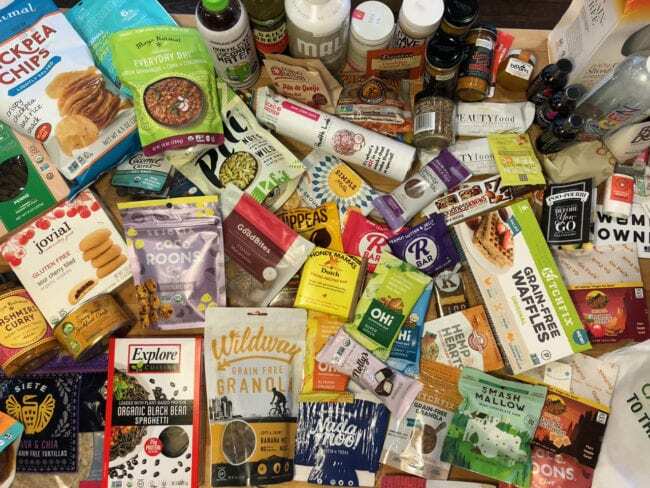 The most prevalent trends we saw were turmeric in everything, matcha, gluten free everything, superfoods likes reishi and other adaptogenic herbs, a ton of dairy-free products, grain free, and plant based products. We spent two full days walking around the Expo. The majority of our time was spent exploring the “New Brands” halls. We found SO many new delicious gluten free products, including some amazing skin care brands. Below we’ve listed new brands and products we fell in love with. We want to be extremely clear ~ this is a completely unsponsored post. Like all bloggers, we need to pay the bills. However, this is our candid recap of everything we found and loved from Expo West. After the new brands, we listed companies we have loved for years. This recap would be incomplete without them! These are brands we have developed dear friendships with over the years. Brands we fully support via collaborations, sponsorships, or simply (and frequently) purchasing their products in stores! Some of these brands may be new to you. Some may not. Some of these brands even introduced new products this year. All in all, we love these companies, their products, and what they stand for. We hope you enjoy this blog as much as we enjoyed creating it! Watch our quick video to learn more about our top 10 new favorite products. You can expect to see a lot more of them this coming year! Keep scrolling for the lists of products! Wildway: Megs actually found their granola a few months before the expo at Whole Foods Market. After our naturopath suggested she be on a grain free diet to help with her chronic congestion, Megs was on the hunt for new products. We are always checking for the highest quality ingredients and absolutely loved that their grain free granolas are sweetened by dates. 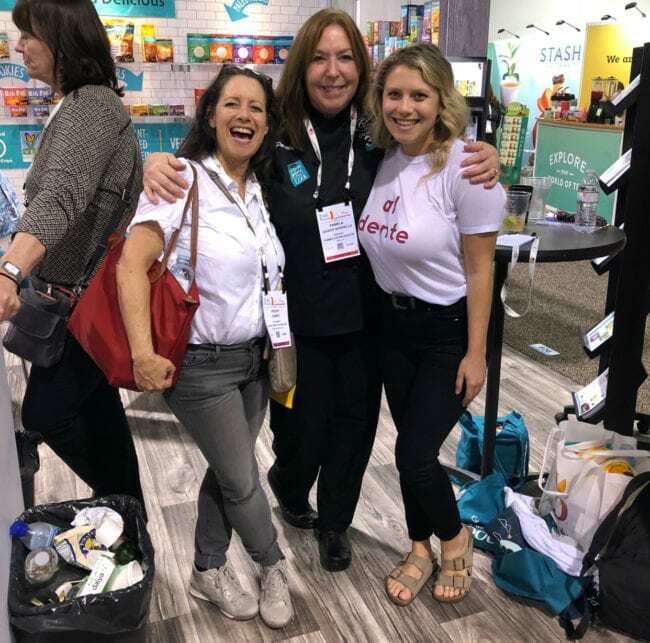 We got to met Kelli, who co-founded the company with her husband, at the expo and are beyond happy to support their company which supports living a “Wild Way of Life” ~ just like we do! Being outside, active, and in nature is part of our daily life. Beyond excited to share their products that are also great for those of us on the go, who enjoy camping, with their single serving grain free hot cereals. Felicia Organics: 100% organic, gluten free, and high protein pastas. Their buckwheat pasta was insane! Honey Mama’s: cacao-nectar bar with only 4 ingredients and sweetened with honey. Pegs found these a year or so ago, but this was Megs new fave. The Coconut Cult: pro-biotic coconut yogurt. It is local to us in Manhattan Beach and truly has the best consistency. Fingers-crossed they will be shipping nationwide soon! Healing Solutions: these essential oils roped Pegs in with their extremely friendly price point. These packages with 6 oils are only $13-$20 on Amazon! Nature’s Charm: marinated jackfruit and coconut whipping cream stole the show! We found Nature’s Charm’s sweetened condensed coconut milk last year. This year, they came out with a pre-marinated jackfruit that is so delicious. We have never been big fans of jackfruit, as some can taste kind of funky; however, this one tastes like a total meat replacement ~ but even better. Kitchfix: we had the pleasure of meeting Chef Josh at Expo this year. His brand is truly inspirational from how they started to where they are now. Not to mention, the products are spot-on delicious! Their grain free waffles were as fluffy as a freshly cooked waffle from an iron, but actually were heated in a toaster. GENIUS. Wren Natural: this skin care line is another inspirational story. Danielle, the mother and founder, start this company to help her son’s allergies while living in Arizona. Every single ingredient used is listed on their label ~ a completely transparent company. Thank you! Great for sensitive skin or those of us with allergies. Megs has been looking for a lip balm with linolin to help with super chapped lips this past winter, and lone-and-behold Wren’s peppermint lip balm had it in it! Frontier Co-Op: which also includes Simply Organic This is a company we have used for years. They have a great organic selection of seasonings. The Turmeric Twist spice mixes they launched at Expo are sure to be a cabinet necessity! These blends are great for savory or sweet creations; easy to make your own homemade Golden Milk latte, or enhance a dinner stir-fry. Oxigen: Pegs is crazy over her water. Our home has 12-point-something pH balanced water. Crazy alkalized. The whole shebang. She has been this way for years. Whenever we travel to the mountains or anywhere with altitude she always had us drink our Penta water. So you can understand now why this newly discovered oxygenated water was her top pick. They ever have extra concentrated oxygen-water shots for traveling on planes! 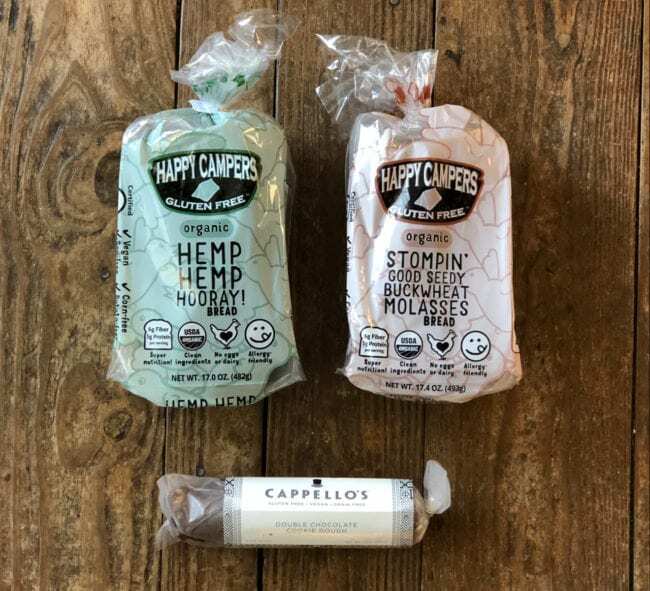 Happy Campers: a new favorite bread company! They use ancient grains like buckwheat, millet, and quinoa are the main bread mixture with only 1 gram of sugar per-serving. These guys are our new go-to. Alpendough: a Colorado based company. Completely gluten free and vegan cookie dough mixes that are insanely delicious. Did we mention they are safe to eat raw?! We’re in love! Barely Bread: this grain free bread is delicious with a great spongy consistency. 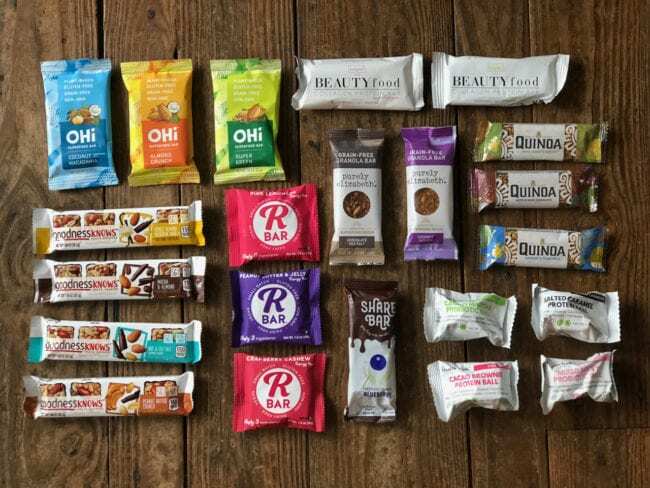 Like we mentioned above in the Wildway product comments, Megs has been searching for great grain free options with her new lifestyle shifts. Great new find. 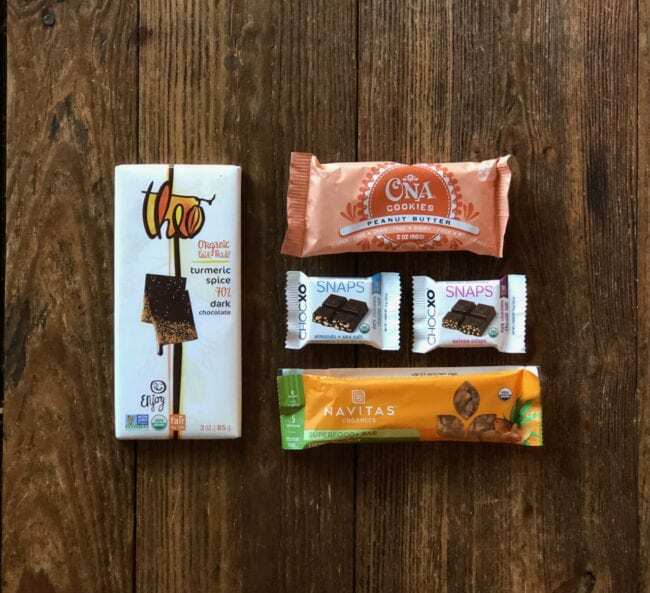 OHi: this superfood bar is great for on the go. Previously known as “B-raw”, we love the new branding. Like oh, hello. Hi there. You’re awesome. They are still the same delicious superfood bars. Kalumi: Beauty Food Collagen Protein Bars were a bit dense, but high quality, nutrient rich, food. What we really love is they used marine collagen! A great option for those of us who don’t consume beef products. Plus, the two adorable models that started this brand know a thing or two about beauty. R-bar: only contain 3 ingredients! Also made in small-batches ~ just as real food should be. Health Lab: an Australian company. Megs has been super into Australia, like the whole country, for some time now. Their restaurants, foodies, and consciousness around health and wellness are inspiring. Another dense bite, but great portion and flavors! Paul’s Finest Quinoa: we love quinoa. Enough said. This organic line had great bars and cooking mixes. 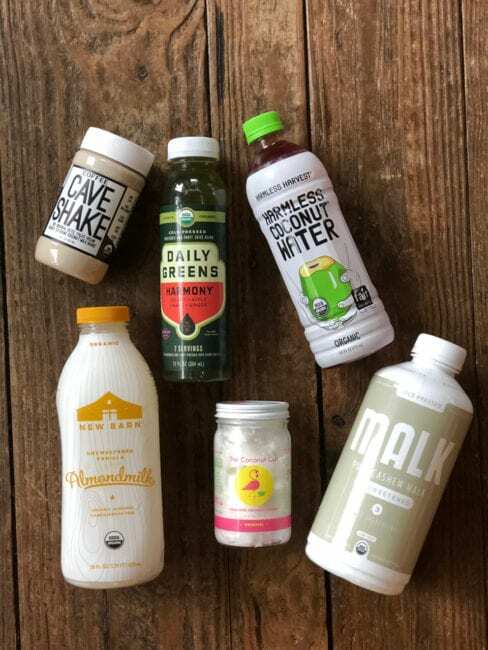 Cave Shake: Another local company that is completely organic. A meal replacement. This truly tastes like an adult milkshake. Malk: 100% organic and can be purchased at target. We LOVE Joel, who co-founded this company with her cousins. Cannot say enough good things about their nut-milks. Made with only 3-4 ingredients, and have truly unsweetened options. Love. Love. Love. Caulipower: these cauliflower pizza crusts are no joke, SO good. Crispy and sturdy enough to hold their toppings. They also have great mixing blends. GF Harvest: this farm to product company is family run and true to their word. The Father and son who run this company are like us! Passionate about spreading the gluten free knowledge and the son’s journey to health is so similar to Megs. Their 100% guaranteed gluten free oats on the go packages are going to be a new staple on Megs trips! Fornos Minas: gluten free Pao de Queijo cheese rolls are the perfect appetizers. We fell in love with these Brazilian bites at a local restaurant. These fluffy, doughy, savory snacks are great for occasions. Nelly’s: these refrigerated nugget-y chocolate bars are delish. GoodBites: another local product from our hometown of Manhattan Beach. We love supporting local brands that are of the highest quiliaty ingredents. Completely organic and gluten free. They newly relseaded delicious CBD bites too! Joyfuls: delicious chocolate treats with berries, nuts and other fun additions. I’m Different: coconut clusters are a sweet granola-y coconut treat. We love the brand name too! We are all different! Blissfully Better: organic toffee thins with crunchy quinoa are a delicious low-glycemic candy bar. Cocomel Bites: gluten free caramels. We love the bite-sized packaging too! Good fact to know that a lot of caramels are NOT gluten free. So great brand to purchase for us gluten free-ers. Smash Mallow: gluten free flavored marshmallow bites are a fun treat. Ethan’s: the son of StonyField Farm’s CEO created these flavored apple cider vinegar shots. Definitely an acquired taste, but SO good for your body. Wedderspoon: Raw Manuka Honey. Another on trend product. Manuka is a superfood that is also wonderful for the skin. Ona Cookies: a completely allergen friendly snack option. ChocXO: chocolate Snaps. We loved their chocolate bites with puffed quinoa. 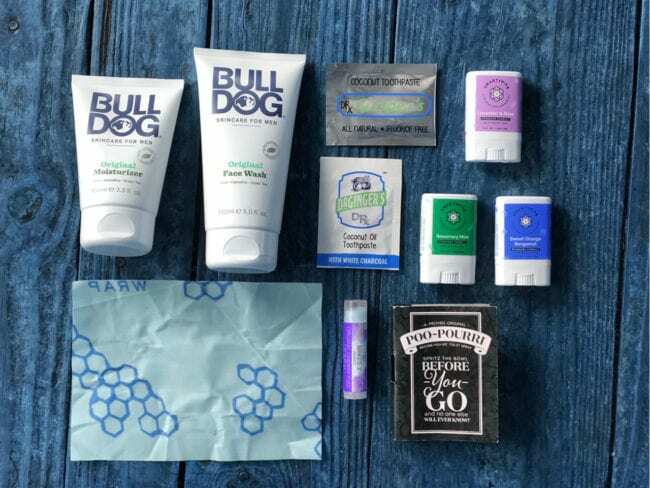 Bull Dog: men skincare that we actually enjoy using too! Hah! They have a great deodorant we enjoy that doesn’t smell TOO masculine. We are currently testing some of their facial skin care products. TBD. Smarty Pits: a new deodorant with minimal baking soda. Super informative company. They shared about their choice in ingredients and how some people can build up an intolerance to baking soda in natural deodorants, which can cause irritations or rashes! Super excited about this brand! Bees Wax: waxed reusable food wraps. Enough said. We have been looking for these to wrap half used avocados, lemons, or sandwiches in. Completely eco-friendly! Makes 3 Organics: Pegs picked up a chap-stick from them. Not sure how she is enjoying it… Check back with us soon! Gingers: coconut based mouthwash and toothpastes. The girls who worked their booth had the whitest teeth, so I was sold. Their toothpastes and mouth-rinses were a deliciously minty and mild coconut flavor. Poo-Pourri: Pegs has been sold on this product solely based on all the podcasts she listens to. Haha! And unlike what Outkast says in their song, this truly does make your sh*t not stink! Pamela’s Products: A HUGE congratulations to our first gluten free love. Pamela’s celebrate their 30th year this year!! Can you believe it!! 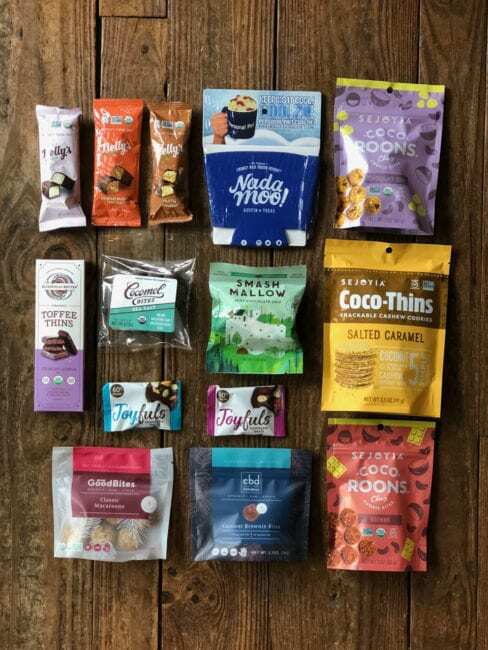 Their gluten free baking flours, baking mixes, bars, treats and more have been our favorites for more than a decade! They truly were “gluten free before it was cool” ~ we love them!! 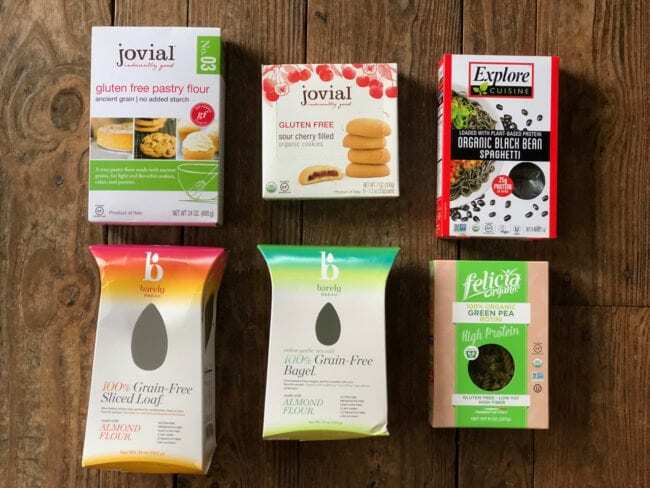 Jovial: gluten free pastas, baking flours, beans, and sauces are our favorites! Last year, we got to attend their Culinary Getaway in Lucca, Italy with Carla, who created Jovial for her daughter with Celiac. Read our blog post about our experience HERE. Explore Asian Cuisine: their protein-packed bean pastas are a staple in our pantry. We especially love them during our seasonal Cleansing with Food workshops. Check out our next workshop, we’d love to have you join us! 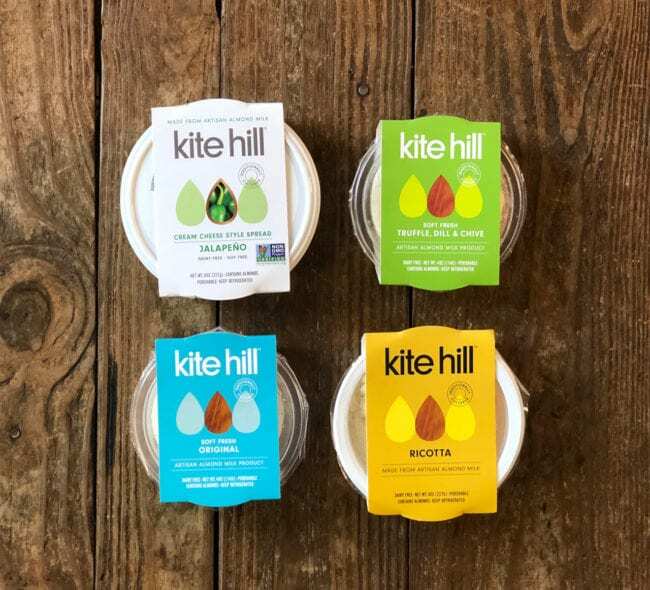 Kite Hill: our go-to dairy free cheese blends. You see us using their products a lot. Their new Jalapeno cream cheese flavor is SO GOOD. 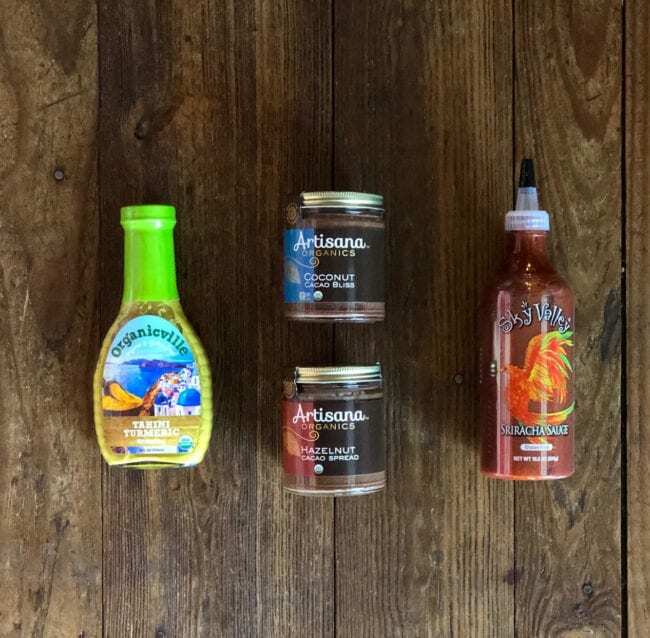 Artisana: We love this 100% organic brand. They make THE best nut butters and coconut-mana. We currently love their Nutella alternative and travel friendly packages. Theo: Pegs love these organic fair-trade chocolates with unique flavors. They are releasing a turmeric flavor, which is absolutely delicious. Organicville: LOVE this organic brand for all their gluten-free-friendly sauces. Everything they stand for is what we are about. Their new Tahini Turermic sauce is ra-dic-u-lous! Cannot wait to purchase more! Cappellos: Ben, the founder or this company, is our favorite. We love him and everything this brand does. Their grain free pastas, pizzas (which also use sheep milk ~ our dream), and cookie dough are they best of their kind. Goodness Knows: pre-sectioned into perfect bite sized granola square. These bars come in a package with 4 bites. Meg’s boyfriend particularly loves these chocolate-coated snacks during road-trips. Purely Elizabeth: her grain-free granolas are our jam. Elizabeth also sampled her new grain free superfood bars with reishi (extremely on trend) are Expo which were delicious. Low sugar and high quality on-the-go food. Paleonola: Pegs loves their grain free granola. The new Share Bar, which comes with two pre-portioned bars in their package, is awesome. Harmless Harvest: truly our favorite organic young pink coconut water. Daily Greens: Pegs loves adding her supplements into their low-sugar green drinks. The New Barn: great organic almond milks with minimal ingredients. They recently launched almond milk ice creams that are divine! Manitoba: love their hemp hearts. Simple Mills: their almond flour crackers are a pantry staple. Siete: our favorite grain free tortilla and tortilla chips. Maya Kaimal: new Everyday Dal mixes are such a great option for those nights when we are too tired to cook. All you need to do is add spinach or another green while heating up their mixes, while you cook up some rice, and you have dinner ready in 15 minutes! They also came out with crispy gluten free chickpea chips. Hunter Gatherer: wild sprouted pili nuts were a new find last year. We still love these nuts that have a buttery consistency. It is like a cross between a Brazil nut and a pine nut. Sejoya: coco-roons are a yummy treat we enjoy. Their new coco-thins are equally as satisfying. NadaMoo! : we love this cleverly named coconut milk based ice cream. Another family owned company. Coolhaus: our dear friends and women owned company. We cannot wait for the new products they are going to be coming out with… Top-secret… but going to make us gluten free-er’s extremely happy! Teccino: roasted herbal teas are our coffee replacements during our coffee and are great for cleansing your liver! 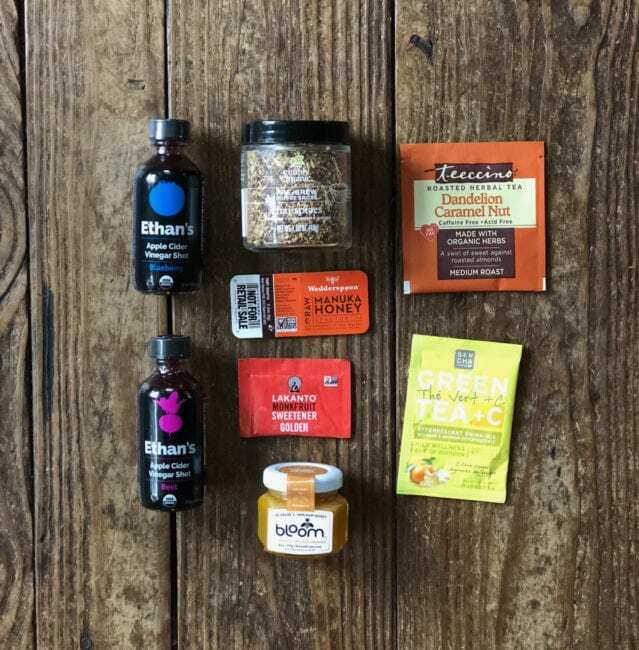 Sencha Naturals: these are a great Emergen-C alternative, with less sugar. The Green Tea + C flavor is delicious! Bloom: local honey from Ojai, CA. We love supporting local farmers. Their bees are what is keeping California produce growing! Support your bees! Navitas: Megs has been loving their cacao nibs in and on just about everything lately! 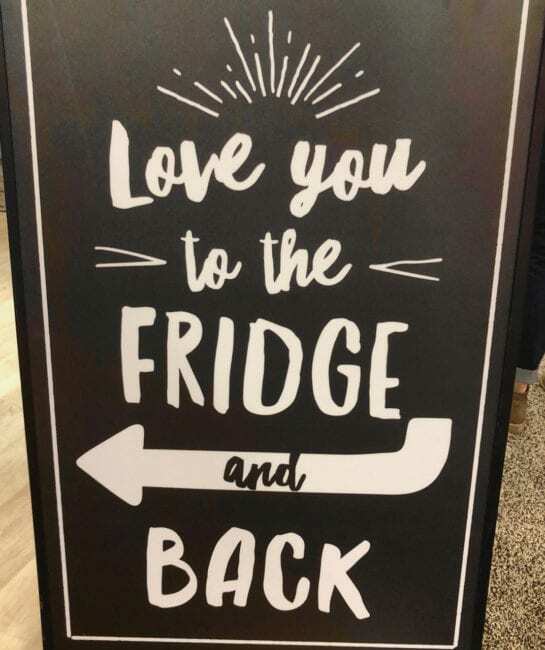 Especially on smoothies and breakfast bowls. This is a great company. Udis: even though we are not big fans of their new bread texture, we appreciate their products being served in a lot of our favorite restaurunts; therefore allowing us to enjoy yummy gluten free meals out with friends. We also heard they are working to develop a new bread consistency… Stay tuned! Canyon Gluten Free: their breads are Megs favorite to take camping. Totally fine to leave out and unrefrigerated for a new days. They also have a great doughy consistency that isn’t too chewy. Love the Heritage breads they released last year with larger, more normal sized, slices!